The "comics" literature is proving today to be the most effective "art" by which the impressionable minds of children can get readily soaked with exemplary ideals and creative ideas. Here are the saner values of life as enshrined in the Bhagavat Gita. Arjuna, a confused child of his age, is tenderly guided to rediscover in himself his own heroism. Lord Krishna expounds a healthy way of life which guarantees not only our worldly success in life, but also ensures the ultimate unfoldment of man into the total perfection of Godhood. I congratulate the publishers for the inexhaustible service they are doing for the future through growing children. "I have recommended these rich "comics" of India Book House Education Trust to our Balavihar members all over the world. Strangely enough the American, Australian, British, Jamaican and Canadian children are found to equally adore these stories and they draw equal inspiration from these volumes. We watch how children bloom into moral beauty." Bhagavad-Gita or the song of the Divine one is a celebrated episode in the epic, Mahabharata. It is in the form of a dialogue between Dhritarashtra, the blind king of Hastinapura, and Sanjaya who describes the happenings on the battlefield to the king. The Gita draws much from the Upanishads and is often described as the quintessence of the Upanishads. The positive approach of the Gita has made it dynamic but the attempts at defining the indefinable have imposed certain limitations too and hence the apparent contradictions in the Gita. This book does not claim to be an exposition of the Gita, but is only an introduction. We have also taken the liberty of interpreting some of the ideas propounded in the Gita with a view to make them intelligible to the younger age group. 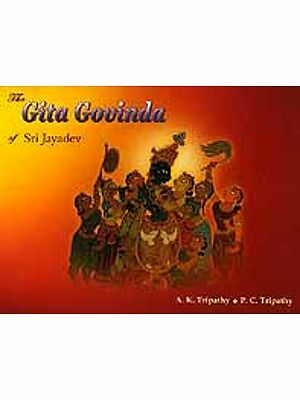 The first nine pages of our book are not part of the Gita but are given to provide the background to our young readers. We owe a debt of gratitude to His Holiness Swami Ranganathananda and His Holiness Swami Chinmayananda for sparing their precious time to go through the text and for making valuable suggestions.